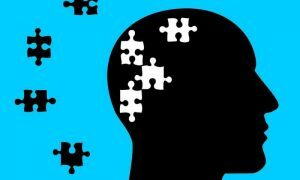 High Fat Ketogenic Diet More Effective than Pysch Drugs for Schizophrenia and Mental Health – Health Impact News has published many articles about the low-carb high-fat ketogenic diet, and its favorable influences on several diseases or dysfunctional health conditions. The ketogenic diet was originally developed at Johns Hopkins Hospital in the 1920s to stop seizures in children with epilepsy, when pharmaceutical drugs did not work. More recently, the ketogenic diet has been used successfully for neurological disorders such as Alzheimer’s disease. Recently, there have been efforts by some researchers and medical practitioners to explore the potential of ameliorating schizophrenia, a major brain disorder that affects one out of a hundred, with the aid of the ketogenic diet. First, let’s make sure we understand what schizophrenia is about. It’s not really the split or multiple personality types of syndrome many consider it to be. 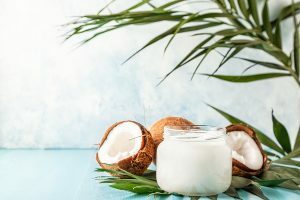 Spanish Study Sees Improvement in Alzheimer’s 21 Days After Starting Coconut Oil – There have been several studies from countries outside the U.S. that show the health virtues of coconut oil for Alzheimer’s Disease. Meanwhile, pronouncements from the USA’s Alzheimer’s Association and medical press releases, warning against using coconut oil, have persisted. These international studies’ conclusions fly in the face of our “expert” opinions that, as a saturated fat, coconut oil threatens heart health. This misinformation continues even as medical practitioners of all types are realizing that the lipid theory of heart disease as the leading contributor to poor heart health is simply not true. Actually, arterial inflammation is caused by excessive sugar and concentrated fructose isolates, such as HFCS (high fructose corn syrup), which are the main dietary culprits of arterial and heart disease. The most recent study was published on July 20th, by the Journal of Alzheimer’s Disease. This human study was conducted by academic researchers in Valencia, Spain, and titled Improvement of Main Cognitive Functions in Patients with Alzheimer’s Disease after Treatment with Coconut Oil Enriched Mediterranean Diet: A Pilot Study. The study’s purpose was to explore the possibility of using coconut oil as an alternative treatment for Alzheimer’s disease (AD). 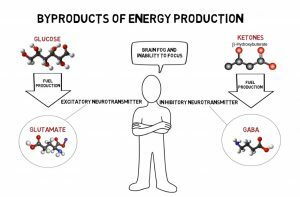 The researchers were fully aware of coconut oil’s metabolism into ketones and the brain’s ability to use ketones more efficiently than glucose. Antidepressant efficacy is the new fake news – Are antidepressants an effective treatment for major depression? According to Professor Gordon Parker AO, a professor of psychiatry at UNSW and the founder of the Black Dog Institute, the answer is irrelevant—because we’re asking the wrong question. In a British Journal of Psychiatry editorial published this month, Parker challenges the findings of several studies that analysed the outcomes of multiple clinical trials of antidepressants. Collectively, these trials spanned hundreds of thousands of patients who received either antidepressants or placebos to treat a diagnosis of major depression. 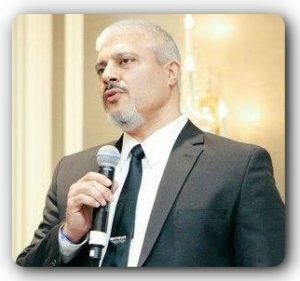 The aggregated trial data were interpreted in the earlier studies as indicating that antidepressants were no more effective than placebos, leading to widespread public confusion about the validity of these drugs, while the most recent analysis argued for their effectiveness. The problem, Parker argues, is that trialling antidepressants against a target condition of major depression produces, if not guarantees, flawed results. ‘Major depression’ is an umbrella term that refers to a range of depressive illnesses with varying causes, trajectories and treatment responses, rather than to a single condition. Father bans his children from taking medicine and vaccines – A father has defended his decision to ban his children from taking medicine – including antibiotics, painkillers and even Calpol. 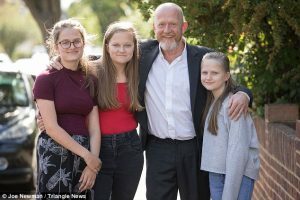 Richard Lanigan and his wife Janette have never given daughters Molly and Isabelle, 14, and Eloise, 11, medication and say their immune systems are better for it. The couple, who live in south-west London, even kept one baby away from hospital when doctors told them she was likely to die from whooping cough – and believe the natural nutrients in Janette’s breast milk kept her alive. The girls never took part in their immunisation programme as babies and have never even had a Lemsip. The only time the three children had vaccinations is when they were immunised before going holiday this summer. Mr Lanigan says avoiding modern medicine is the best thing to do because it maximises his girls’ immune systems. In fact, he is so against unnatural substances, he has never even allowed the trio to take popular children’s remedies like Calpol – a paracetamol-based medicine used by millions of parents.